I’d never heard of Gale Storm before she was mentioned as being Diane Keaton’s hero in Keaton’s autobiography. Keaton also mentioned in the book that Storm–of 50s television fame–was an alcoholic who’d overcome her addiction. 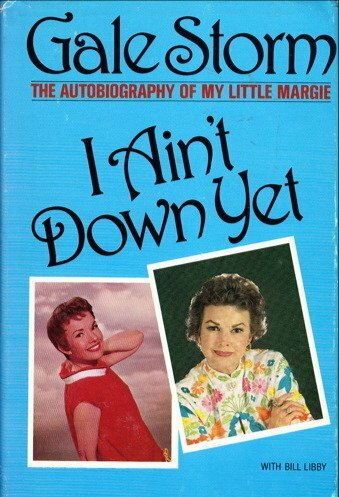 Even before I’d finished Keaton’s book, I ordered Storm’s 1981 autobiography called I Ain’t Down Yet. Once I was able to sit down long enough and concentrate on the book, I enjoyed reading Gale Storm’s life story. It was a bit difficult for me to relate to some of the anecdotes, as I’d never heard of her before. 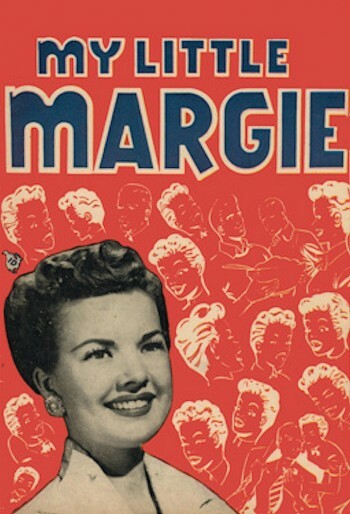 But her 1952 TV show My Little Margie essentially started as a summer replacement for I Love Lucy, and it was such a hit that it ran for four seasons and immediately seguewayed into The Gale Storm Show, later retitled Oh, Susanna! Storm won a national radio talent competition during her senior year of high school, and the prize was not only the showbiz name of Gale Storm (she was born Josephine Owaissa Cottle in Texas), but the male counterpart to her female winner of the talent contest is the man she married, Lee Bonnell. Storm and Bonnell had four children and raised them all in church, just as they’d been raised. In her book, Storm repeatedly credits her faith with being the key ingredient to overcoming alcoholism. That, and the Raleigh Hills Treatment Centre, which she did a series of commercials for in the 1980s once she reclaimed her sobriety via being intensively treated there. Per usual, below are some quotes which I gleaned from the book. I like that even though I had no knowledge of Gail Storm’s claim-to-fame before reading the book, I could relate to her struggle against the vodka bottle(s). She and her co-writer did a remarkable job of making the reader feel like they’re listening to Storm audibly tell her story; she was very honest and forthcoming with details, which I appreciate as a fellow addict. Truth be told, this blog’s taken me about a week to write, from start to finish. I wasn’t bothered when I was reading Gale Storm’s book, but I was incredibly bothered when I began typing all these quotes and saw so much of my own alcoholic experience in them. Her not being able to forgive herself, her lying to everyone about how much she was drinking, her drinking more because she felt so guilty about drinking too much, her helpless self-hatred, her doctor talking smack to her and calling her a liar, even her consuming Diet Dr. Pepper by the case…all these things have happened to me, except that I drink Diet Dr. K (shout-out to the cheap 2-litres at Kroger!). But I’ll tell you one thing: I’d never go back to the addiction specialist I saw when I was two weeks re-sober, but the harsh advice he gave me is something I’ll never, ever forget. And yes, he was a doctor and he told me what I already knew: all alcoholics are liars. We lie to ourselves about how we have to keep drinking to function, and we lie to others about how we’re not drinking when we ask them to hold us accountable. We keep lying to others and ourselves until we become honest enough to admit we need help. It’s then and only then that the healing begins and we start dealing with the issues at the root of our flawed being. I wrote the following caption on the “before” pic when I posted it on Facebook: “This is one of the last photos taken of me before I became re-sober. I saw this photo today for the first time since it was taken 53 days ago; that night when I saw it, I was disgusted with myself and my life. I wish I could tell that guy in the Chick-fil-A shirt what the guy who re-sobered up now knows. 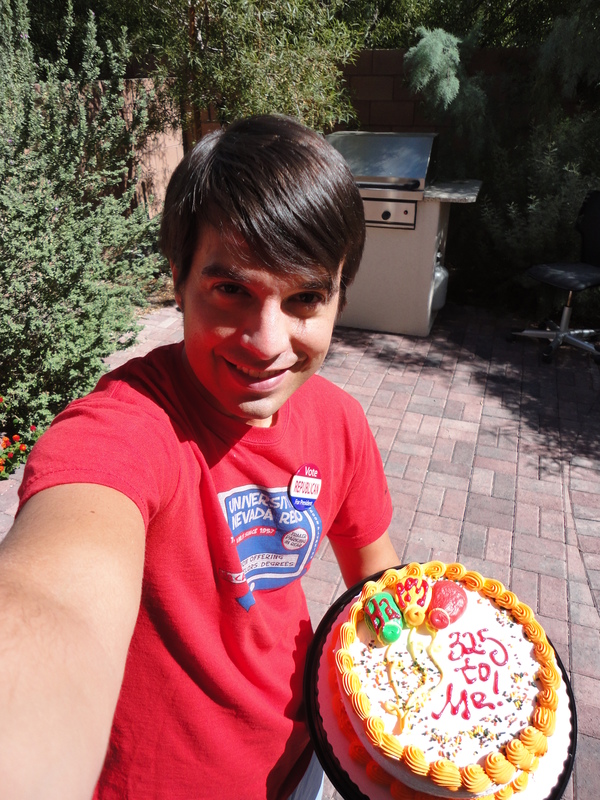 But enough of that…I’ve lost 15 lbs and counting! 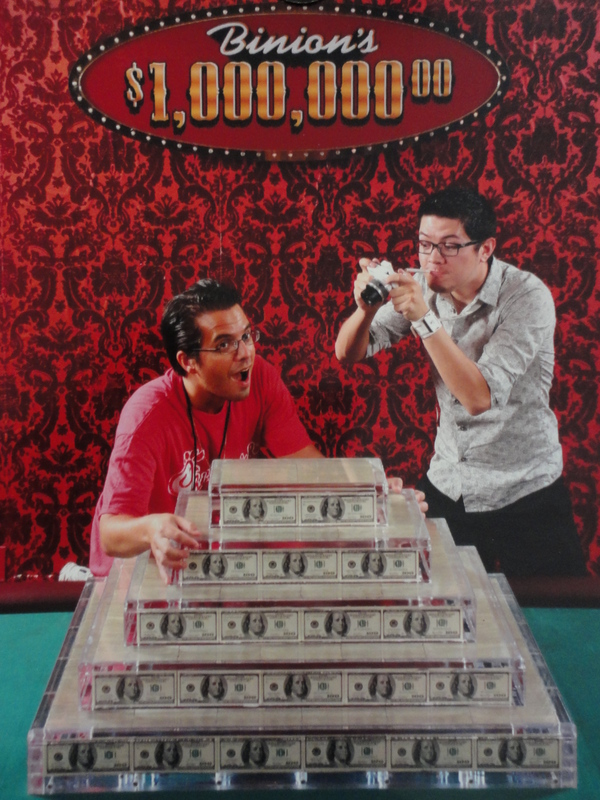 Who’s worth a million bucks now?” The “after” photo speaks for itself; I’m more and more happy every single day when I wake up now, even on those when I know it’s going to be a tough day to get through for whatever reason. And there are many of those, but life is good. 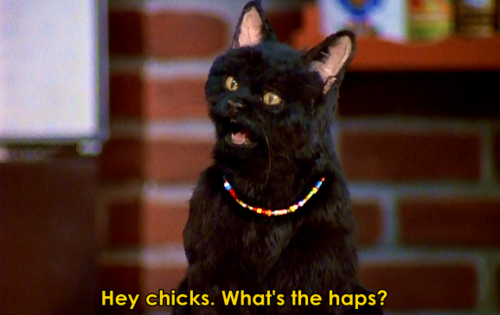 Next week’s blog will be a review of Jane Lynch’s Happy Accidents. Talk about having a lot in common with someone…I devoured her life story in about four hours of reading and was left both laughing and crying. Powerful stuff, and she–like fellow female TV star Gale Storm–overcame alcoholism to take life by the horns and find true happiness without liquor. By the way, if all the alcoholic-centric posts aren’t up my readers’ alley, I’d recommend taking a one-month or so break from Southern Aristocracy. This topic and how to overcome it are very heavy on my heart these days, and I want to do my part to turn a negative into a positive. If one person is helped, it’ll all have been worth it. Happy weekend to everyone, and thanks as always for reading! 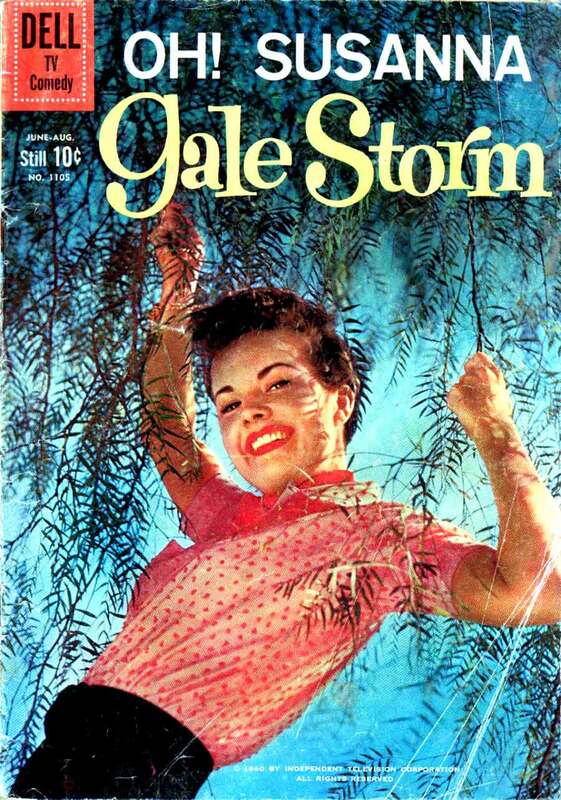 I literally stumbled across your blog by ”Googling” Gale Storm! My middle name is Gale and affectionately called Stormy Gale. ZI read about her alcoholism along with your blog about the Las Vegas shootings. Ironically, I had a patient exhibiting physical symptoms much like a heart attack in our local hospital who got caught and locked into his casino that night. He & his wife were separated and he thought she had died. The cell service in the basement was nonexistent. I hope and pray this man like so many others regain their freedom to ”fly” and enjoy life again. I would like to continue to follow you for many reasons. I hope your Blog takes ”Flight” too. Thanks for the kind comment, Gale. I’ve been taking a bit of a sabbatical from blogging, but your comment made my day. Happy New Year to you!